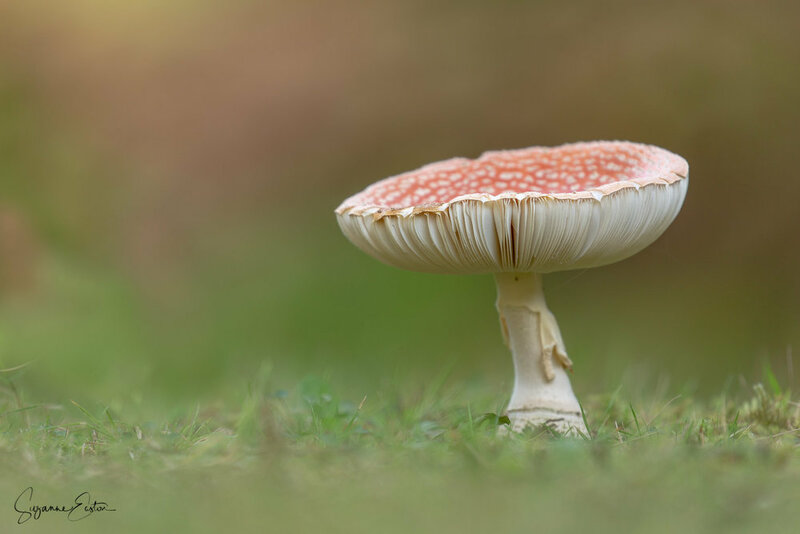 Ask anyone to draw and toadstool or mushroom and the chances are it will be a red cap with spots of white. Abundant through woodlands in the autumn months, this hallucinogenic fungus is known to inhibit fear and the startle response and whilst not usually fatal, the tolerance of the body is minimal with unpleasant side effects if ingested without careful preparation. The use of fly agaric in Scandinavian ancient midwinter festivals may even be the basis for Santa Claus and flying reindeer. The effect on flies is the reason for its name, attracting flies and then intoxicating them with the aroma. A natural and ancient insecticide. 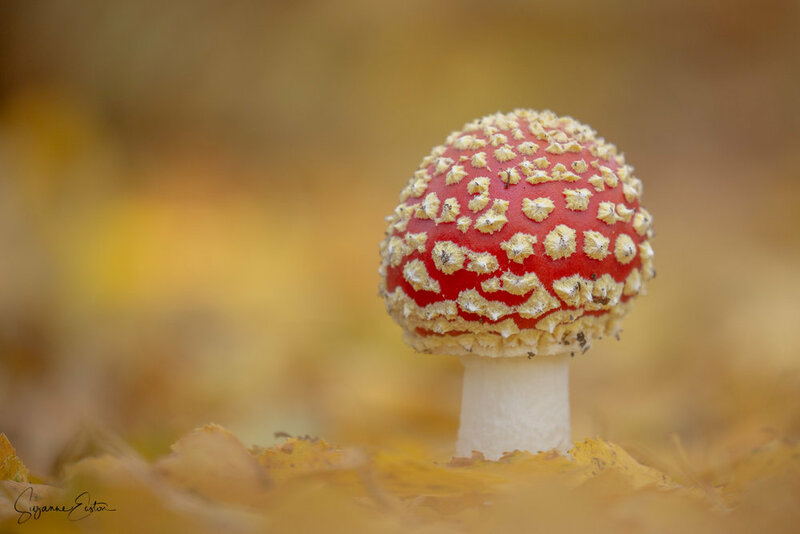 Fly agaric (Amanita muscaria) is found in the northern hemisphere, preferring pine and beech forests. 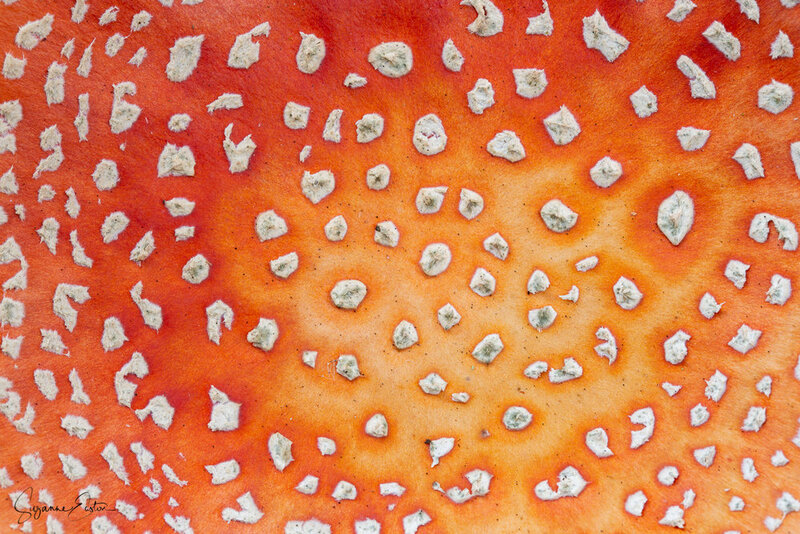 Emerging as a small bump in autumn, within a few days the red cap and white spots become evident. The cap opens into a flat red disk, scattered with white spots and wide white gills on the underside. Standing proud on the woodland floor until nibbled by a passing creature or kicked over by a careless human.